(formerly part of Central African Airways) (RH) (Salisbury) 1967 - 1980 (became Air Zimbabwe). Photos. Framable Color Prints and Posters. Digital Sharp Images. Aviation Gifts. Slide Shows. 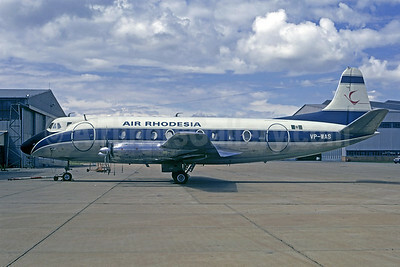 Air Rhodesia Vickers Viscount 782D VP-WAS (msn 297) (Jacques Guillem Collection). Image: 907584.